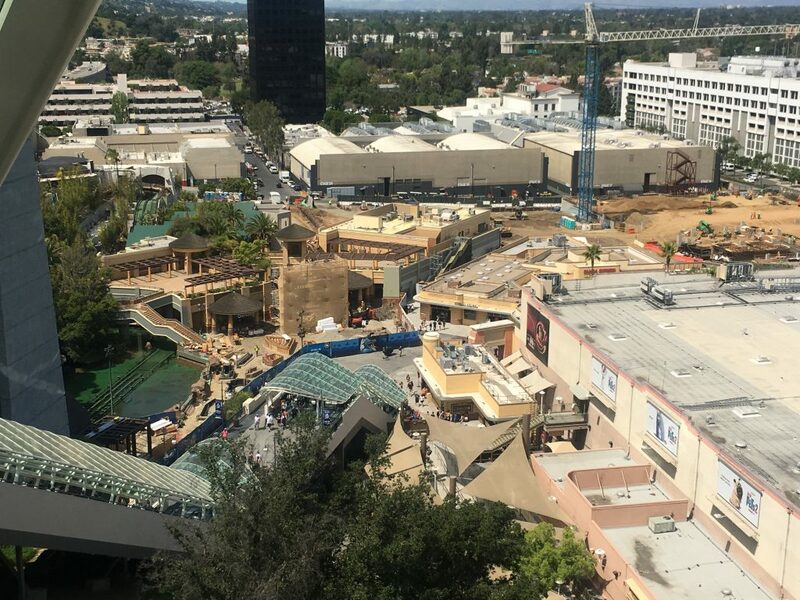 Derrion: Universal Studios Hollywood has so many different projects on the horizon. I appreciate the time the park has taken to continue to expand. 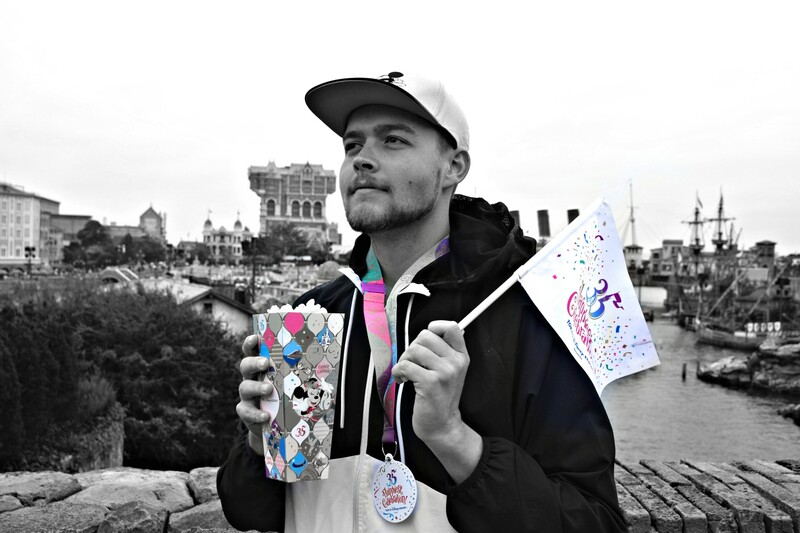 Lets see what is going on this week in the park! We are excited to announced that the rumored Secret Life of Pets attraction has officially been confirmed by the park. Opening in 2020, Secret Life of Pets: Off the Leash will take riders on a thrilling journey throughout NY city. We are beyond thrilled that this will not just be a screened based ride but incorporate realistic animatronics. 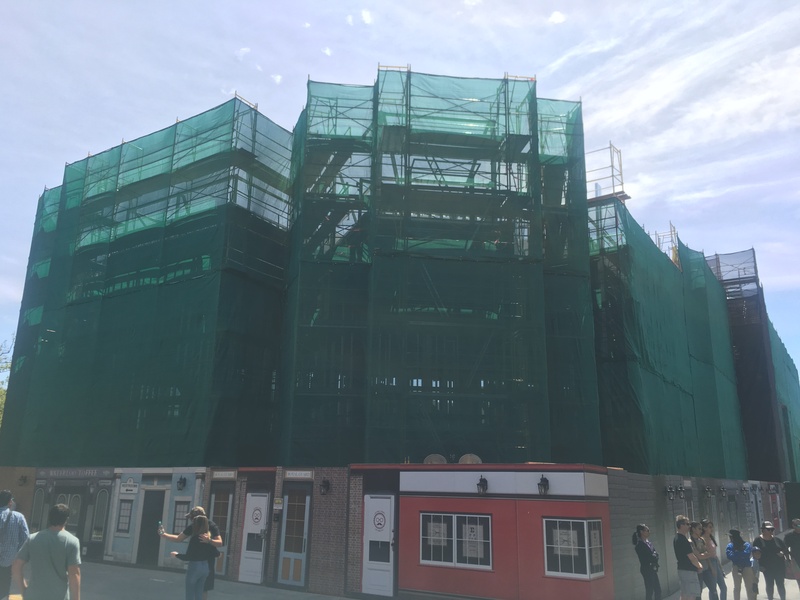 Work has already begun on the exterior of the building and it will be a bit difficult moving forward to see any details of the new attraction. 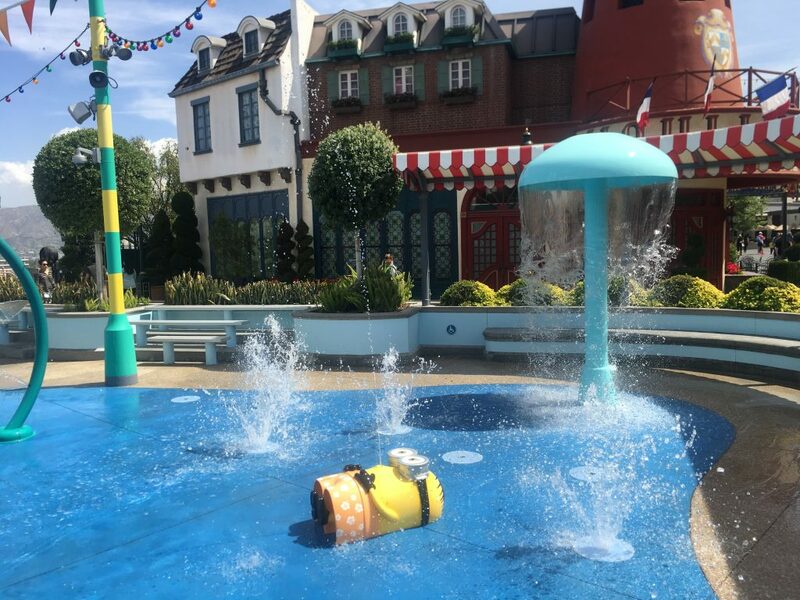 Guest can now pass directly to Despicable Me:Minion Mayhem from The Walking Dead Attraction. It is starting to warm up here in Southern California. 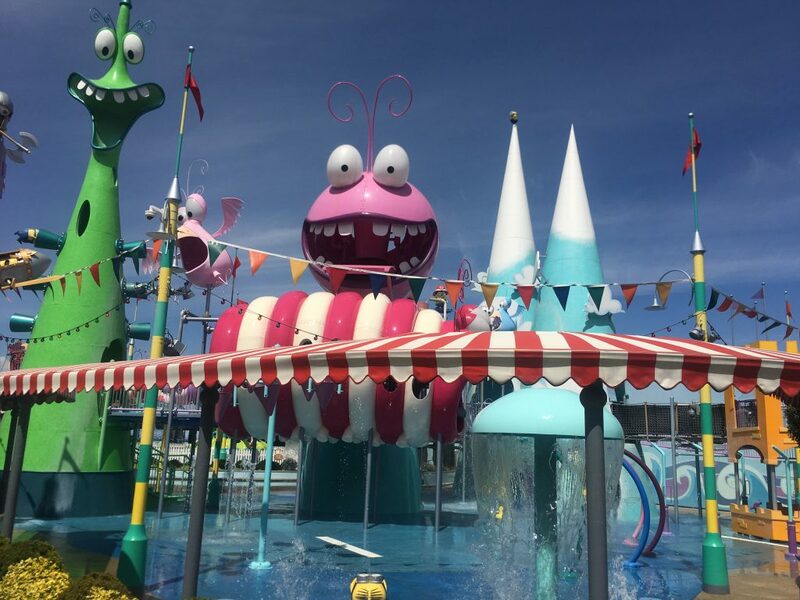 The Super Silly Fun land wet play area is back open for all ages to experience. This is a great way to cool down as there are no water attractions open at the park currently. The park does however use many water effects that can be very unpredictable. Sometimes I forget how beautiful the park is. On the way down to the Lower Lot there is an amazing view of the San Fernando Valley. 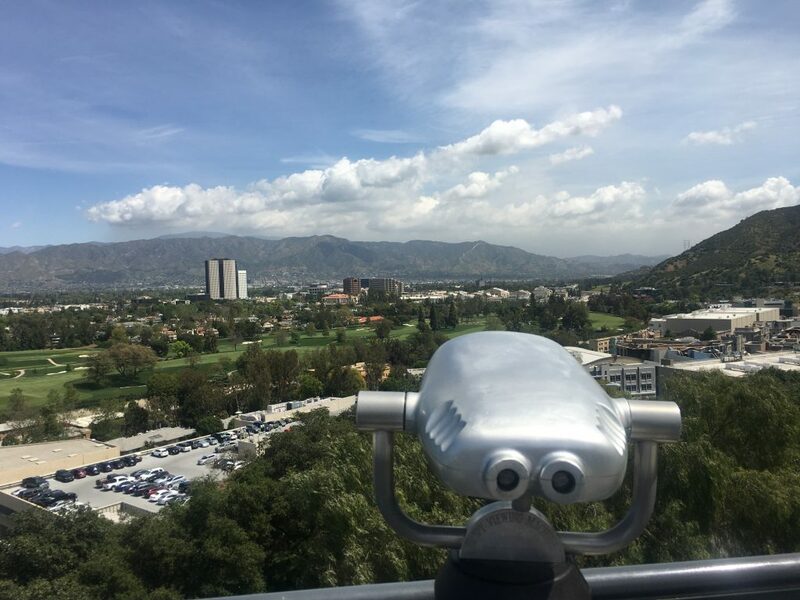 Some of the biggest movie and animation studios can be seen in this shot. Can you name a few? There is so much construction taking place on the Lower Lot. 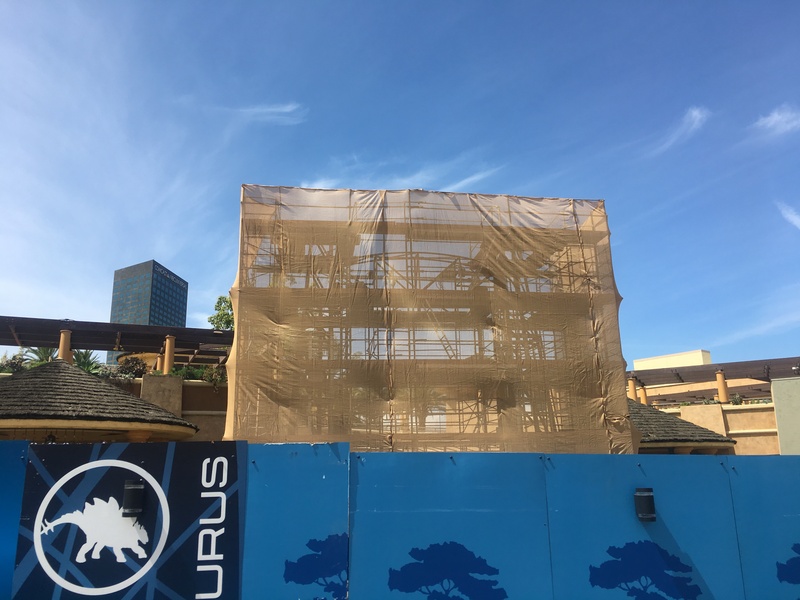 Just to the right of the former Jurassic Park:The Ride queue a new cement wall has sprung up over night. 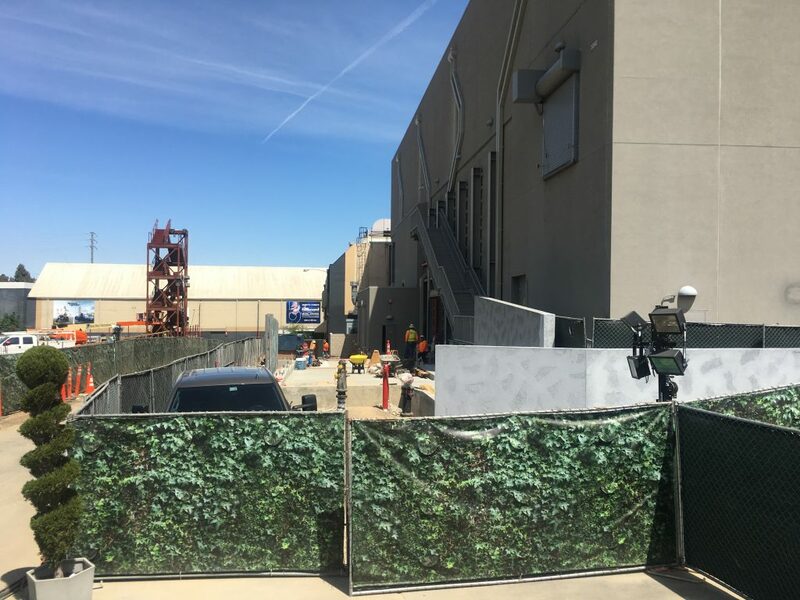 It is unclear if this will be used for the new rumored Super Nintendo World or Jurassic World:The Ride queue area. 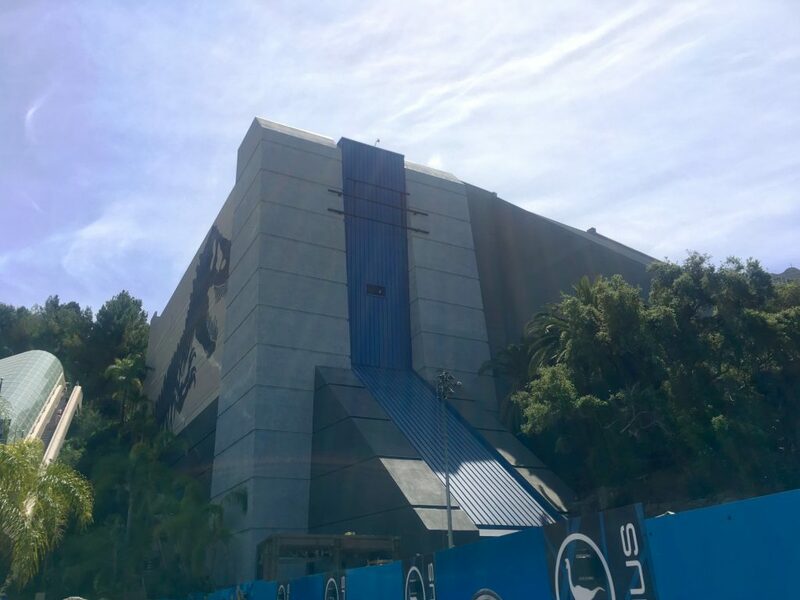 Speaking of the new attraction that will debut this summer, Jurassic World :The Ride has been confirmed to also include a new raptor encounter area. It is said that guest will be able to encounter the four raptors of the famed franchise. The encounter foundation is now complete. The ride itself continues with day an night testing. 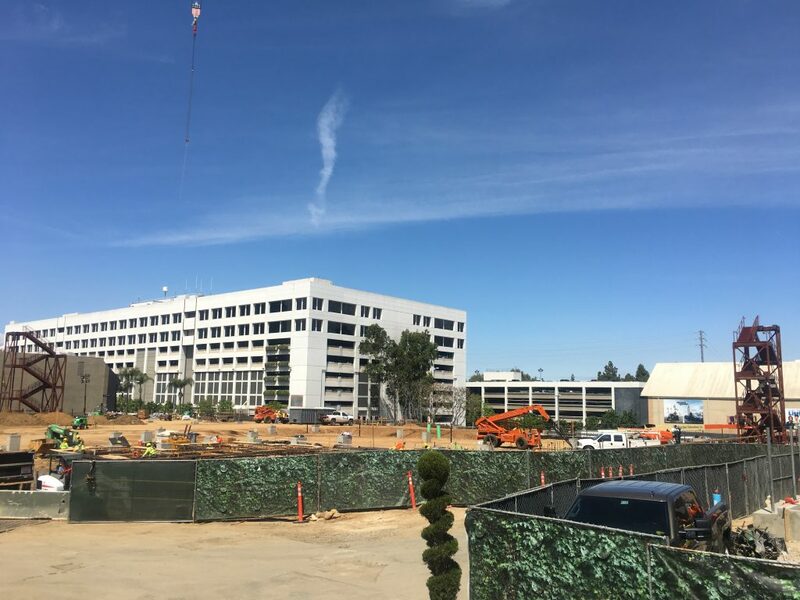 Just beyond the construction walls it also looks as though they will be planting new plants/trees that will make the area a tad bit more realistic. The signage frame that was added to the show building has been completed and the wholes on the side have been filled. It also looks as though they painted the frame black instead of the previous bronze color of the metal to blend a bit better with the building. The Jurassic Park archway has seen little work since its exterior panel removal. 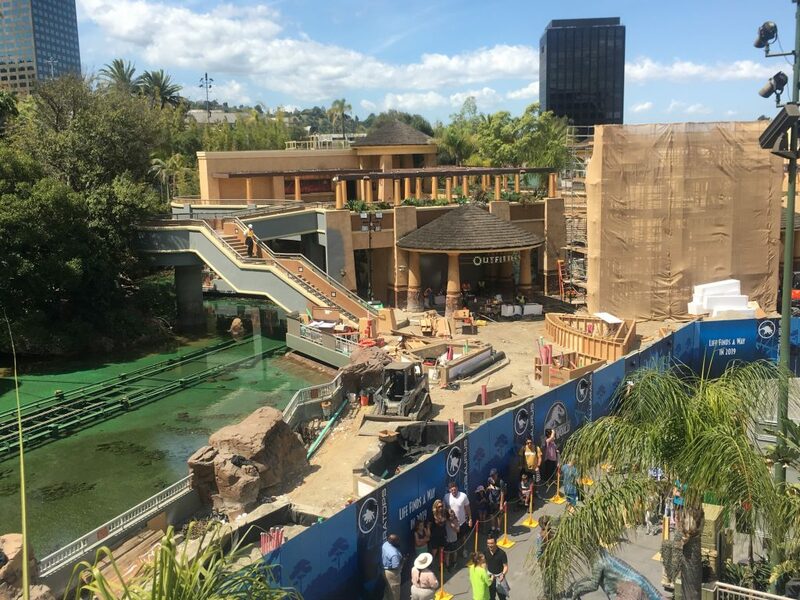 It does not seem as though the park will be fully demolishing this existing structure but re-purposing it for Jurassic World: The Ride. 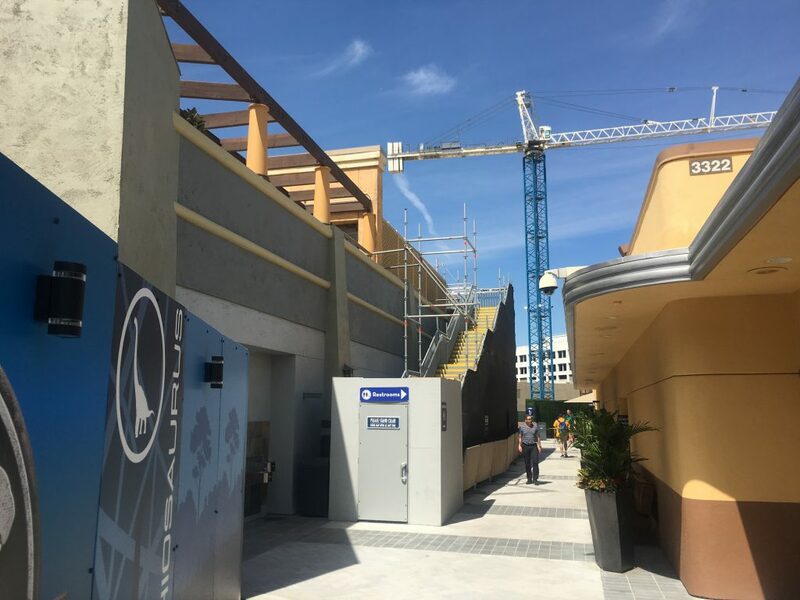 Over to the left of the Universal Studio Store on the lower lot, the restrooms are back open. 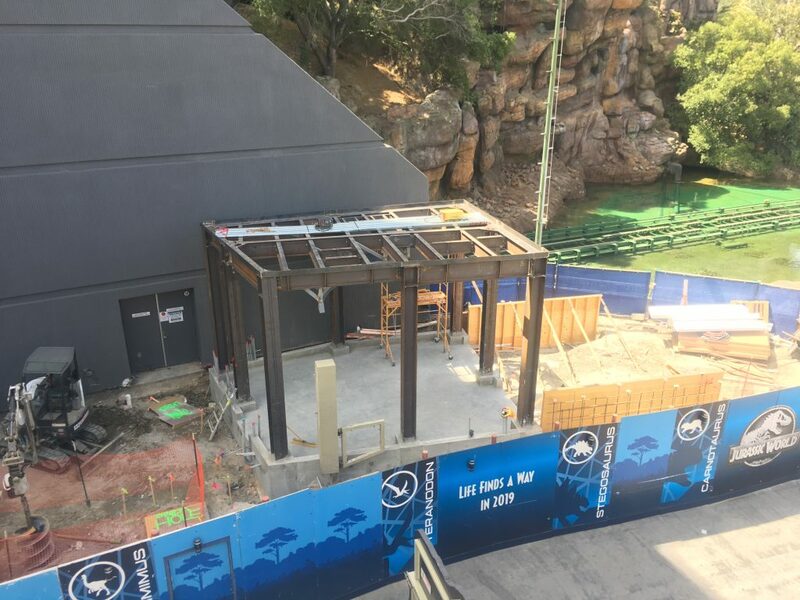 The exterior of the Jurassic Café has seen a new paint job as well and work continues on the upper levels of the building. Tranformers: The Ride is running great as usual. This time around some of the screens were a bit faulty but I had a blast riding it nonetheless. It is one of my favorite additions to the park because it provides an immersive experience. Just to the left of the Transformers:The Ride entrance construction continues on the extended queue. 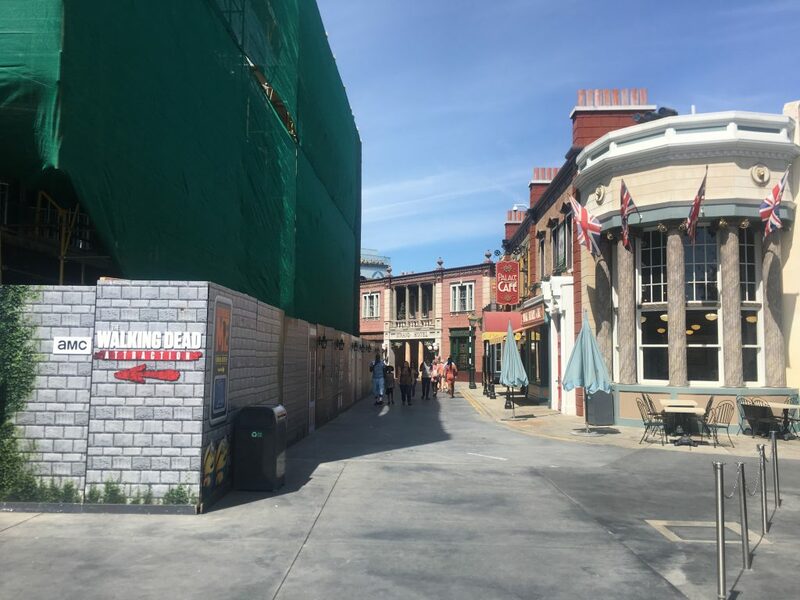 It will be interesting to know if the sanctions will be removable or permanent as this area is also used for the queue line of the fame Stranger Things maze returning for Halloween Horror Nights this year. 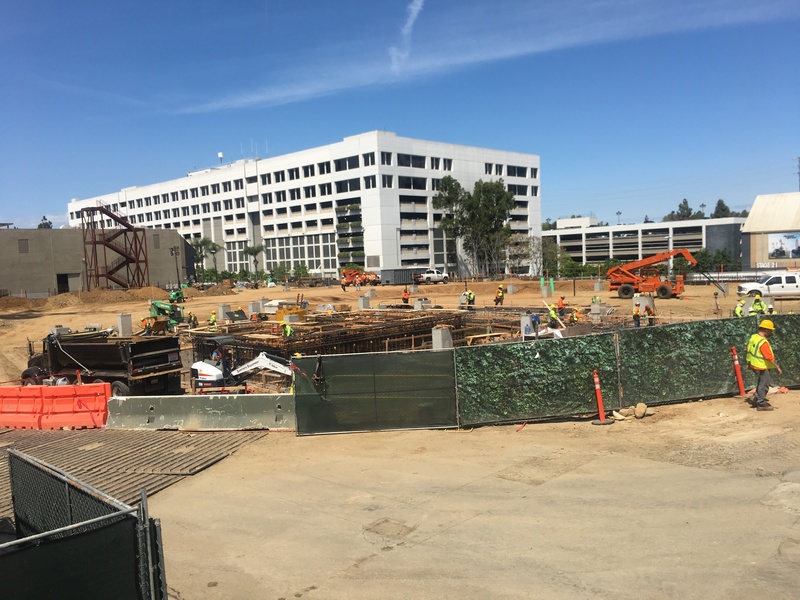 The construction site that may be for Super Nintendo World was very active today. Work continues underground with proper piping and on the lands foundation. This week there were two stair cases added to both side of the land that could possibly be used for emergency exits. There is no word on if this will be the height of the land because The Super Nintendo World is rumored to be a multi level land. 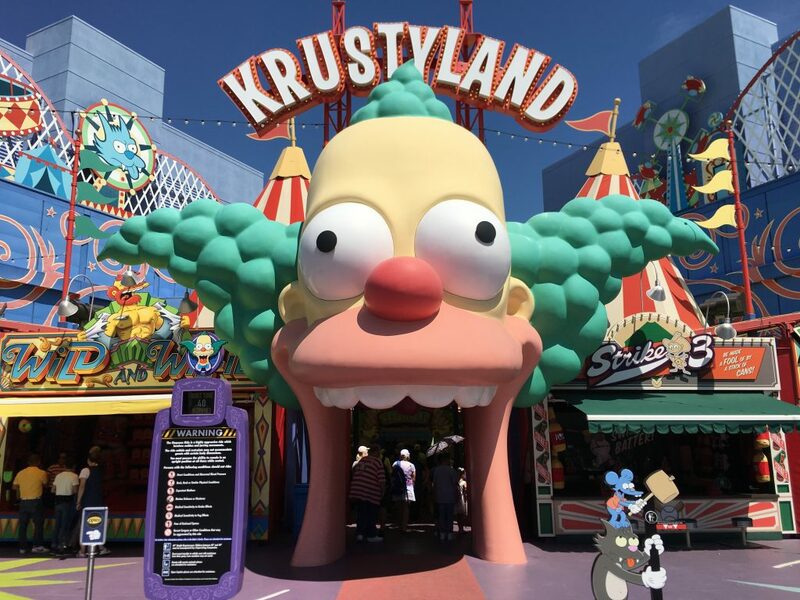 Back on the upper lot I thought I would give The Simpsons Ride another go. 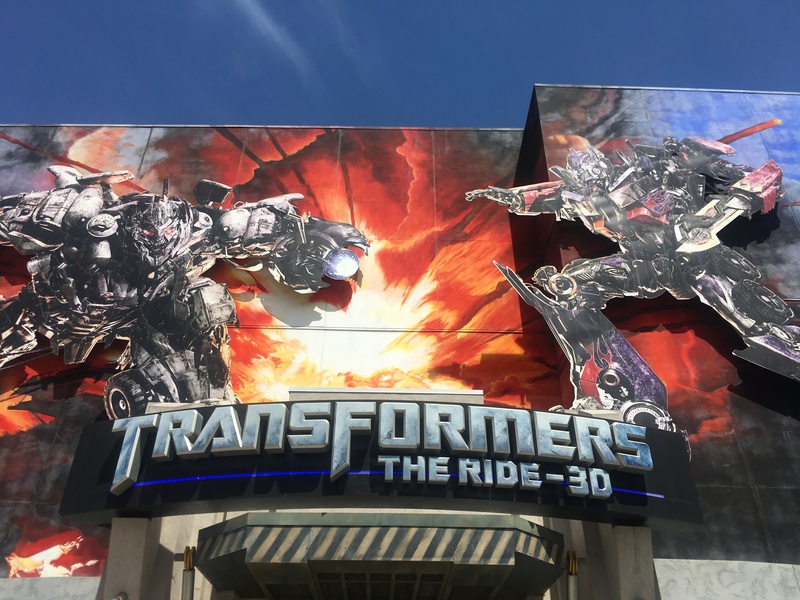 I was surprised that the animation and graphics were very enjoyable now that the ride has transitioned to be 4D. 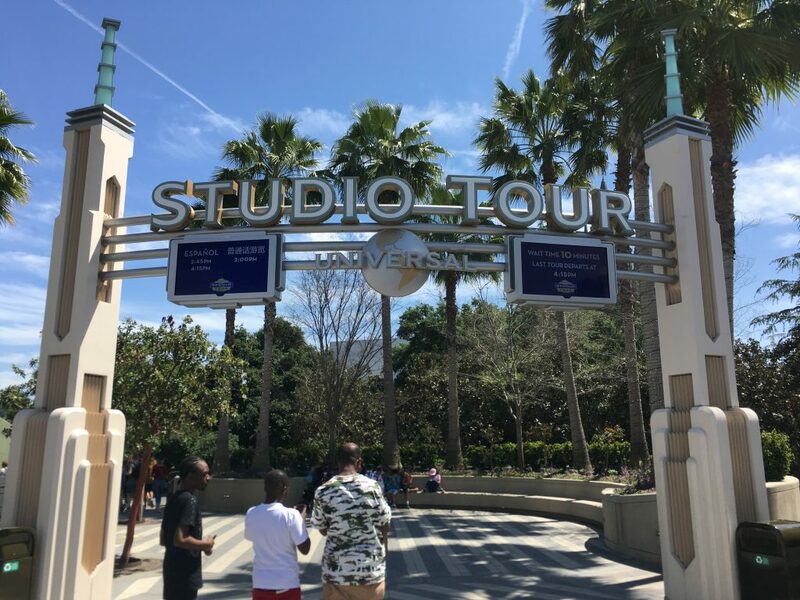 The Studio Tour just received new digital wait times. They now include information regarding the tours in Mandarin and Spanish. I need to practice my Spanish, so I will definitely be taking the tour in Spanish one of these days. “I remember every wand I have ever sold, Mr. Potter!” Ollivander’s wand shop is another hidden gem found in the Wizarding World of Harry Potter. 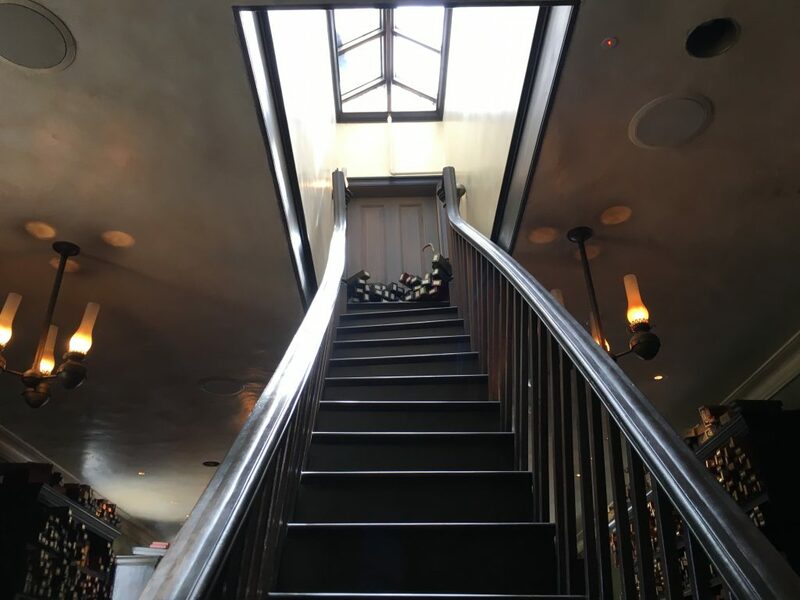 If you happen to go through Ollivander’s Wand Experience be sure to bring your inner enthusiasm for the books and movies and you may just be chosen. After all, Harry did choose his house, who know your wand could be calling you. The fun does not end here folks. We will be back with another fun update soon as the Dark Arts projection show premieres in The Wizarding World of Harry Potter April 13th! As always thank you reading!